community as a business and supporter. Renowned for being one of Ottawa’s leading team of hair stylists, Silver Scissors Salon makes sure to provide our clientele with insight into the most current hair and fashion trends. If you need to Park, ask us for parking tips. 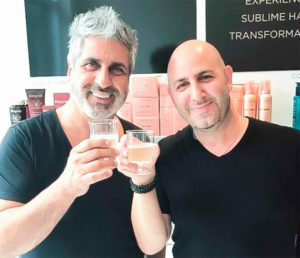 Silver Scissors Salon was established in 1979 by award-winning salon owners and artistic directors Eli and Bruce Saikaley. Serving the Ottawa and greater for over 39 years. 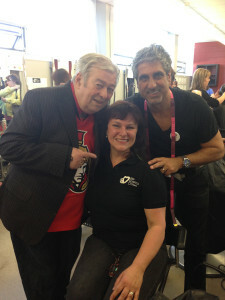 In that time Silver Scissors Salon has become one of Ottawa’s premier salons. With ongoing worldwide training and pro educational salon, we offer service next to none. Our attention to detail to your needs is what drives us to be the best we could be. Having grown and established our salon as Ottawa’s place to come for your hair needs, we welcome all to enjoy your visit with us. Let us take care of you. We have been involved with many charities over the years, we also share our talents with local and community charities also. Some of our charities include Heart & Stroke, C.H.E.O., Amnesty International, A.I.D.S. Foundation, and the Ottawa Regional Cancer Center and many more. Silver Scissors Salon is a proud salon and we care about your hair. Come let our experts take care of your hair needs.